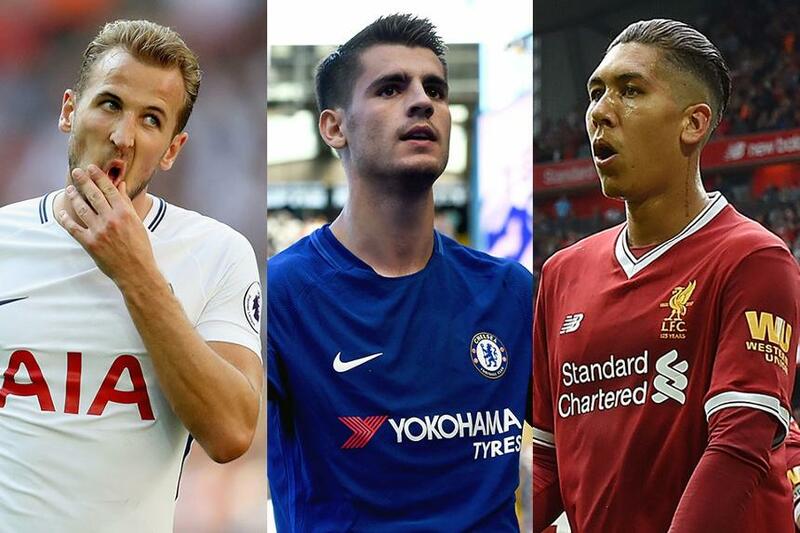 Alvaro Morata (£10.0m) heads into the international break as a major target for Fantasy Premier League managers, with Harry Kane (£12.5m) the man being sacrificed by many. The Chelsea forward was in just over 386,000 FPL squads ahead of Gameweek 3, but has been snapped up by more than 100,000 new owners after his 12 points in the win over Everton. Morata has benefited in a Gameweek where Alexandre Lacazette (£10.5m) was benched by Arsenal at Anfield and Kane extended his August goal drought for Tottenham Hotspur to 13 matches. For a second successive Gameweek Kane surpassed his record for the number of attempts without scoring in a single match, having 10 shots in the 1-1 draw with Burnley. While he suffered the same fate over the first three Gameweeks of 2016/17, he had fired just two penalty area shots after three matches then. This season he has had 18. Indeed, Spurs have created more chances (64) than any other side. But, Mauricio Pochettino’s team have recorded just five big chances, or gilt-edged opportunities, with three falling to Kane. Seven other teams have created more. Despite there being no more PL fixtures this month, more than 60,000 managers have lost patience and sold Kane, with a third of those swapping to Morata. Roberto Firmino is the other major beneficiary from the Kane fallout. Over 110,000 FPL managers have moved for the Liverpool forward, with more than 17,000 selling Kane for him. The Brazilian matched Morata’s goal and assist tally in Liverpool's 4-0 win over Arsenal to top the FPL forward standings on 26 points. But his underlying statistics show only minor improvements on last season. He has fired a shot every 27.8 minutes, compared with 30.7 minutes in 2016/17. His average penalty area touches per match are down from 6.4 to 4.0, as are his shots in the penalty area per match (2.0 to 1.7). Romelu Lukaku (£11.7m) was backed by 62% of his 2.7 million owners with the Gameweek 3 captaincy, but they were left frustrated. The Manchester United forward’s penalty miss in the 2-0 victory over Leicester City resulted in a zero-point return. Going back to the start of 2016/17, Lukaku has missed three of his last five penalties in all competitions. Managers must now consider whether the Belgian will retain spot-kick duties for United, with Paul Pogba (£8.2m) perhaps next in line. While a cast of big-name forwards struggled, cut-price options such as Joselu (£5.5m), of Newcastle United, and Swansea City’s Tammy Abraham (£5.5m) scored their first Premier League goals for their new clubs. Both players deserve attention as third-forward targets. Abraham, in particular, has the fixtures to thrive. Five of Swansea City’s next six opponents score just two or below in the Fixture Difficulty Rankings (FDR), with Newcastle, Watford and Huddersfield Town all due at the Liberty Stadium.